The exclusivity of a Tiffany blue box; the value of a Hermes orange bag, the reassuring green glow of a BP petrol station late at night. We all make colour associations. Everyone has a favourite colour and a story about why. But personal likes and dislikes are not the point when deciding on the right colour for a company brand. It’s whether it works that matters. Sadly, most companies play it too safe rather than go for the rewards of being bold and distinctive. Although personal favourites get in the way (there is no design agency that hasn’t had to negotiate delicately on a project where the company colours made no sense only to discover they had been chosen by the son or daughter of the MD), we must not forget the fact that colours are emotive and have real impact. Colours affect us on a biological level in some circumstances and colour meaning is deeply embedded in culture – this is not just about us having superficial preferences. 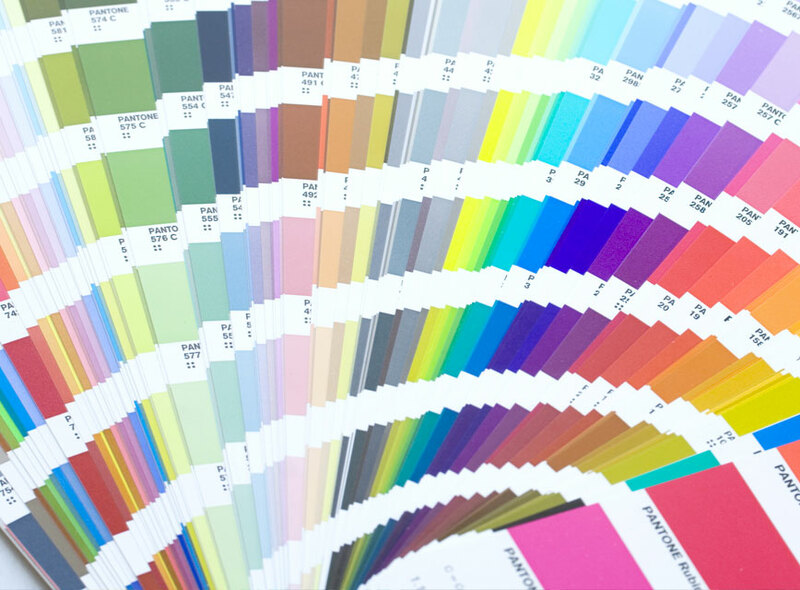 Nearly 85% of consumers cite colour as a primary reason they buy a product. We make sub-conscious decisions about new environments in less than 90 seconds, and between 60 – 90% of that conclusion is based on colour alone. Understanding the psychology behind these actions becomes very complex, which might start to explain why many companies (over 50% in the Professional Services sector) stay with a safe ​‘corporate blue’ rather than risk trying anything new. Blue is cool, dependable, trustworthy. And before you dismiss that as creative hype, there are psychologists, art historians and neuroscientists that continue to investigate and back-up these associations. One reason why the Western world associates blue with trustworthiness, comes from its use in early depictions of the Virgin Mary, which was originally because blue pigment was one of the most expensive available. Today, we also know that blue is the most preferred colour for men, which, despite all the scientific and historical meanings, could well be the biggest reason it continues to dominate the corporate sector – it’s a safe and easy-to-agree choice. And this is the reason that corporate blue is a problem. It’s not the colour itself, it’s the process by which it was chosen. Easy colour choices mean a lazy colour choice, and lazy choices do not make a strong brand. A well chosen corporate blue can be great, but when it is there because ​“we’ve always been that colour” we have to question whether it’s adding any real value. But why would you break away from a safe position and try something different? On a practical level, having a distinctive and bold colour choice can help any customer or client find your report amongst a pile of others, recall your presentation in a seminar and notice your stand from across a busy trade show hall – without even needing a clear view of your name or your logo. But more importantly, well chosen colour schemes come from companies that know their strengths, know who they want to be recognised by and take pride in managing the quality of their communications materials. So where does good colour choice begin? Because levels of contrast affect our ability to identify and select, start with a review and compare the use of colours amongst the competition. Even though it is a strong and distinctive colour, purple will not differentiate your company if everyone else in your sector also uses purple. But standing out with colour is not about becoming wacky, garish or looking like a carnival at Christmas. When handled in the right way, even the brightest of colours can be elegant, sophisticated, serious and highly professional. When a palette is taking shape, the other main issue is making sure it can be applied and reproduced with quality and consistency. The new business cards may look bright and crisp, but what happens when someone prints off copies of a presentation on their ink-jet printer at home? Think through a realistic view of all the company materials. Then the colours can be designed to work well in various situations and stand-up to the day-to-day handling. Colour is so often taken for granted. It’s treated like the decorative icing rather than the bedrock of a brand. The impact that colour has is far too important to be made on personal preferences by Board members. And it is much too valuable just to play it safe. Conforming to a set of established colours in a sector can help to send reassuring signals that an organisation belongs. Going against the norm can send out a confident message of being different and standing out from a crowd. Colours reproduce differently in different mediums, so a painted colour on a wall won’t reproduce the same on printed paper. Some colours are more tolerant and are easier to maintain, but perfect matches every time are not realistic and shouldn’t become the big focus. As well as in the main brand identity, colours can be incredibly useful to indicate sub-divisions or other themes of activity in a company. A good suite of secondary-use colours will support rather than dilute the primary choices. Because colour is so personal, sharing some knowledge internally about why certain colours were chosen is important to help people overcome their own associated likes and dislikes.